Mortons Dairies are rolling up their sleeves and leading the support for Hoylake's annual 'Festival of Firsts' parade. We are providing two of our traditional milk floats to lead the yearly parade activities, which takes place in the town this Saturday, July 4. 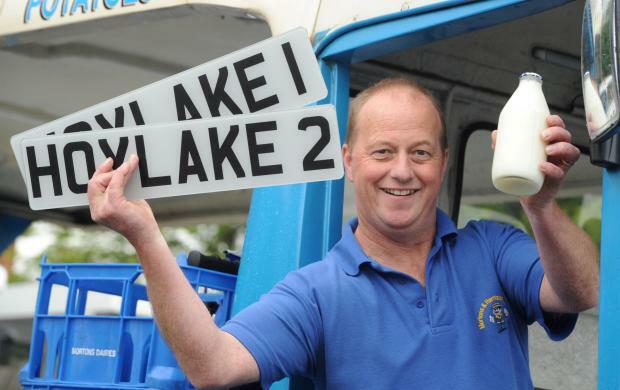 The milk floats will be sporting two special registration plates - Hoylake 1 and Hoylake 2. The parade that heads through the Wirral Towns of West Kirkby, Hoylake, and Meols is set to raise awareness and funds for a local charity, Claire House Children’s Hospice. It attracts people from all over the North West, raising money, celebrating local talent and providing family fun. Julian Harrison, managing director of Mortons Dairies - which has a depot on Saughall Massie Road, Upton - said: “The Hoylake parade is a great community event that we have been involved with for the past few years. So if you are in the area or want to experience something new for a worthy cause head over to the Wirral and enjoy the Festival of Firsts with all of the Family.